Hello, everyone – this is Mariel here! First and foremost, I would like to give a HUGE thank you to everyone who got in the spirit of giving and donated art supplies for the Nationwide Children’s Toy Drive this past holiday season. Your generosity filled two large boxes with crayons, colored pencils, and coloring books (to name a few! ), in the hopes of sparking young patients’ hearts and minds with joy and creativity during their stay at the hospital. 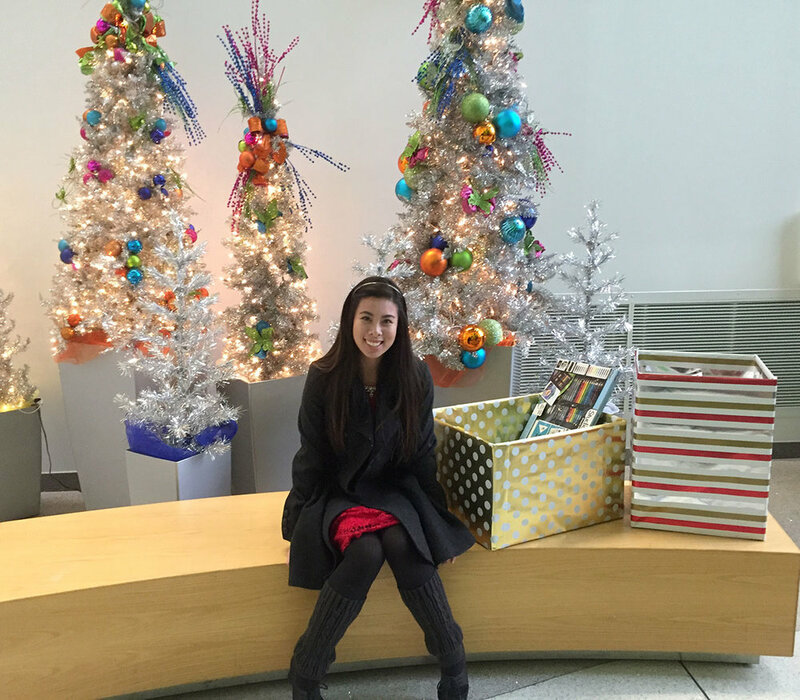 On December 21st, I drove the donations to Nationwide Children’s Hospital. There were so many cars lined up along the drive, waiting patiently for their turn to drop-off toys, and the staff was very excited to see all of the art supplies we have collected for the effort. It was so uplifting to see so many people wanting to give back to the community. Again, I cannot say THANK YOU enough for your kindness and contributions for our holiday collection efforts. For those who would like to continue giving throughout the year, Nationwide Children’s Hospital does accept donations year-round – details can be found here.